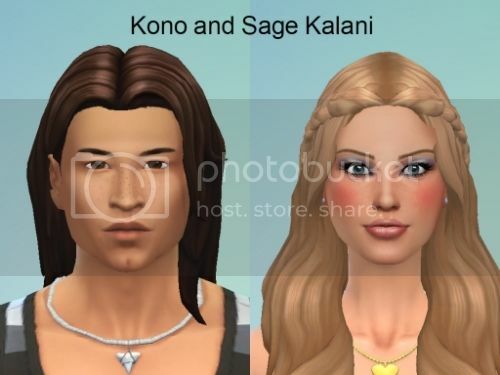 I'm currently making my founding couple! Very excited to get started! Got the town all cleared out today! And the Pruitts are settling into their waterfront property. Ooo can't wait to start this.. So we only pick one of the four couples i'm guessing? Love them! Here's my starter couple as well. I decided to go with the 4th couple option. I'm hoping to really get playing tomorrow. Ooh please tell me you put that guy up on the gallery! *bookmarks* Ooo...now THIS is right up my alley... I adore genetics. 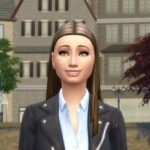 (I'm adoring the BuildNewcrest Challenge rules -- I can just pick whichever kid I want to be heir, so I'm picking the most genetically cool looking ones. xD) I'm gonna go in-game and wipe out Willow Creek right now. Morning all! Just woke up here on my side of the world, time to get into this challenge. 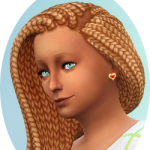 @Selarono - No, this is not in typical legacy style as the main goal of the challenge is to essentially study/focus on the genetics of your sims. I didn't want to make it more difficult by adding in that particular rule. 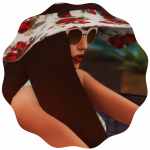 You can use CC and mods to your hearts content. The only cheats I ask that you don't use are ones that alter needs or relationships or careers. Simple things like that. Would love to see pics of your couple when you get a chance! @JordanNicoleJJ - Hiya JJ! I love genetics as well, its really interesting to see how the sims games handle them. Sometimes the engine can get wacky and sometimes you get some good results. @emilyduru - I know right! It pained me to delete the Pancakes, I love those guys. In my head they totally survived hurricane Mortimer and moved to Newcrest. I have someone similar on my gallery. I haven't, but I can I'll upload him without CC (all my uploads are CC free) but I'll link you to his hair when I do. and yaaaaaaaaay! So excited people are joining. I cleared Willow Creek last night, but didn't delete the community lots or townies. I guess I'll need to do that today. I'm hoping to have play time and an update by the end of the day. Looking forward to everyone's pics!!! @Heckstress17 - I can't decide on a family, I changed my mind again. Lol!! I know lol committing is hard, but I really wanna get started so I'm sticking with my couple. Okay, okay I finally committed, the Pruitt's are now the Bradley's. I will upload CC free versions to the gallery here soon. I'm leaning towards the first couple, the White Male & Native American Female pair (Jay & Aponi Jones). My username is tellekinz - you must have CC enabled/ticked in advanced settings to see all couples. @Tellex - You never cease to amaze me with your sims!! They all look so good, I really like your Pacific Islander male. This challenge looks so interesting! Hopefully I'll have time to try it out at some point later this year, but I' definitely bookmarking this to come gawk over everyone's gorgeous sims here! @ThePlumbob - Dive in whenever you are ready! I just got a shell to decorate weeee! I think this might take all day lol. 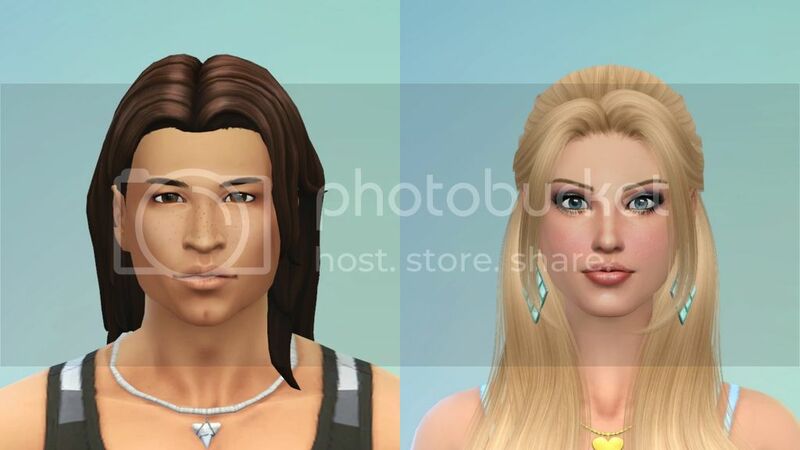 @Tellex - All your sims look great, but I really love your 3rd couple! @ThePlumbob - Hope you'll have time to join. btw I love your signature! @OJenn - Loving your couple and their new home. Happy decorating! Can anyone recommend a good size for posting pics? I use photobucket so I'll resize them there, just don't wanna post them too big. I don't use sizing like we did with the other forums, I don't think you need to anymore. Try posting and lets see what happens. Native Americans generally have black/brown hair, but I decided to go overboard on the "red" thing instead. Not necessarily realistic, but I like it. And the white male has Scandinavian ancestry with the classic blonde-hair-blue-eyes combo; he's also kind of a pirate, because that's hot. 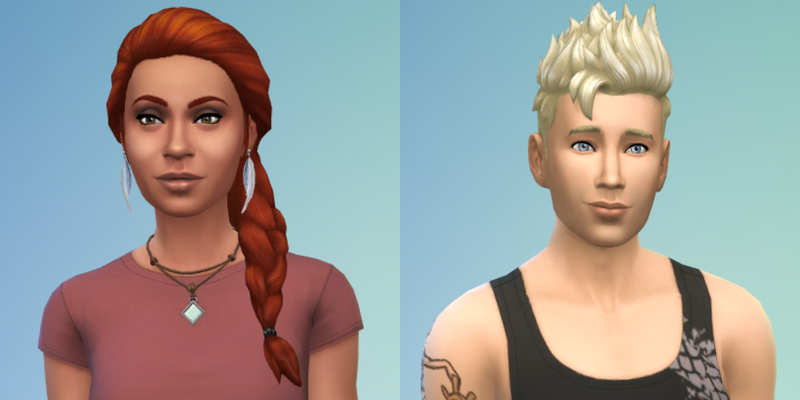 Their stats are (Winona) Family-oriented, Self-assured, Genius, aspiring Renaissance Sim, and (Leland) Self-Assured, Creative, Insane, aspiring Successful Lineage. The story goes, Winona's family has roots in Willow Creek for as long as anyone can remember -- they were a founding tribe in the Beginning. Because of this, her family refused to leave when the hurricane hit, and she was the only survivor. Moons later, a pale-face pirate showed up on Willow Creek's shores, and the rest was history. Love, determination, blah blah blah. Being a little crazy and impulsive, Leland jumped right on the offer of re-populating the town; with Winona's smarts and dedication to family, the pair can't fail! Now...time to go build 'em a house! @JordanNicoleJJ - Winona is so pretty! 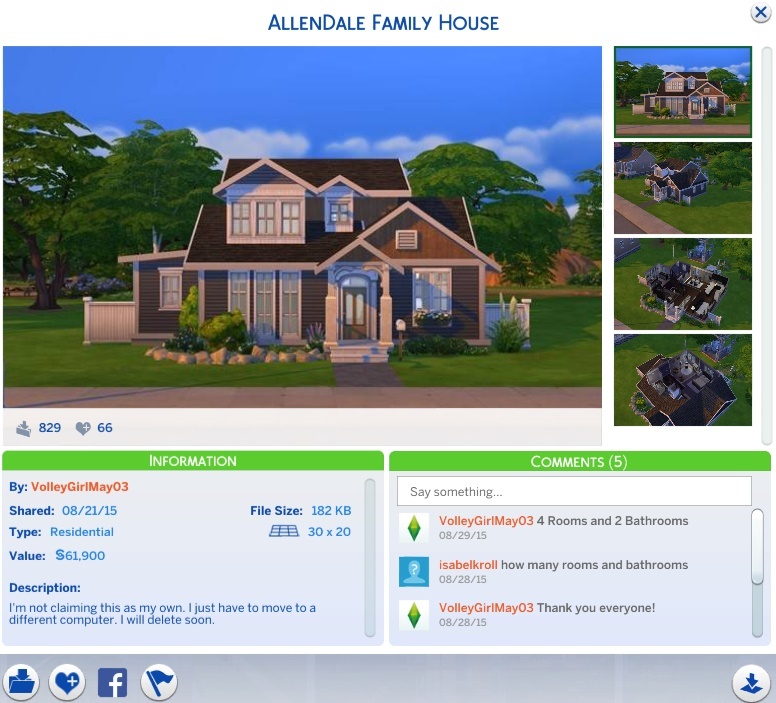 I love the background story as well definitely makes sense and ties in with the overall theme of #rebuldwillowcreek Can't wait to see their home!